We’re not getting older; we’re getting better. Well, actually we are getting older, but this doesn’t mean we can’t get better as well. The graying of our church — a subject of great concern and incredible misplaced anxiety — is worth looking into, but as an opportunity, not a problem to solve. Youth culture is troughing again for the next generation or so, and in many parts of our country the age trend will be at the upper end of the spectrum — more old people, with more resources (translated “disposable income”), more time, more energy, and more productive years. In demographers eyes, a golden opportunity to exploit a market. But will the church pay attention? See, the problem is that most in the church refuse to use common sense when it comes to planning. Research shows that over 8-out-of-10 United Methodist churches are pinning their hopes for the future on “young families with children.” Congregation after congregation nostalgically pines for the glory days when their Sunday schools were packed to bursting, and when twenty- and thirty-somethings sat shoulder to shoulder with mom, dad, grandma, grandpa, and Aunt Flo. The vision for the future looks like a rerun from 1959. In a day when the average length of membership for young adults is less than two years, die-hards in the church look to rebuild their congregations on the shoulders of today’s young. Good luck with that. Hey, if you have a lot of young people to draw from, go for it; but this is not the reality for a significant number of UMCs. Younger families are heading to newer evangelical congregations with plenty of comfort resources and technology, where demands and expectations are VERY modest. And these growing independent churches have no delusions that the young will pay their own way. The trend in drawing young is in providing ministry “to” and “for” them, not “with” them (or expecting them to pony up to cash to pay for it). A tiny number of United Methodist congregations have the resources or leadership to go toe-to-toe with the “big guns.” And when I visit a small congregation with one 9-year-old and one 14-year-old (generally brother and sister) and they are envisioning revitalization through an active Sunday school and youth program, I have to scratch my head and wonder what they’re thinking. Most assuredly we need to do everything in our power to provide spiritual support, education and guidance to people of all ages — but real people, not mythical wish-people who don’t exist, and even if they did they probably wouldn’t come to our church. But who would come to our church? Well, there is ample evidence that people who connect with a congregation connect through building relationships, and as important as multi-generational relationships are, these tend to succeed best in families. The relationships that bond people to churches are relationships between peers — social, educational, cultural equals who reach out and invite each other into relationships. We tend to cross bridges into familiar territory — so if our landscape is middle-age on up, then that’s who we are most likely to attract. And how nice for us that 55-and-older will be the largest growing demographic over the next 25 years… and that over 40% of this Boomer demographic has no church affiliation. The harvest has never been so ripe in the last sixty years! Boomers (born between 1946-1964 — our current 46-64 year olds ) LOVE relationships. This generation wants to be active, engaged in things that help others and that make themselves more comfortable. This age group spends more money on themselves than any other, and they are the easiest touch for charity. According to some, there have never been more people entering retirement who are looking for something worthwhile to do. Churches that are paying attention are going to start growing — not with young adults, but with middle adults, retirees, and older adults. 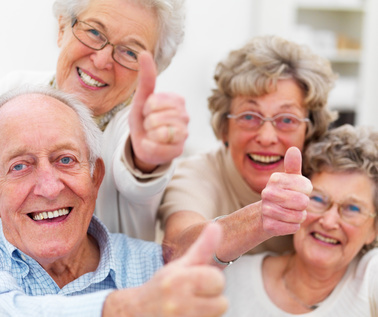 And the wonderful thing about older adults is that we’re constantly making more! Culturally, interest in church and religion is hitting later in life — just like about everything else. When I did the spiritual seeker study for the denomination in 2003-2006, “spirituality” became a high priority for the majority of 41-60 year olds as they approached 50. Also, the largest segment of “lapsed” church members — inactives, those who have drifted away, those who relocated and never reconnected — is in the 50+ category as well. It is time for churches to figure out the difference between dreaming and planning, wishing and strategizing. We can say we want a return to the 1950s with full Sunday schools and happy young families, but let’s be honest. For the vast majority of UMCs, this just isn’t going to happen. So, if we can’t have that, what can we have? A much larger number of UMCs can have vibrant, vital, highly interactive ministries with middle adults, retirees, older adults, that attract and serve the audience they actually have instead of only wish they had. Now let me be clear: if you have a viable children’s, youth, young adult, young families ministry, then by all means do it and do it well. I am not saying we abandon one group for another. What I am saying is simply this: the fastest growing non-ethnic demographic segment in most of the country for the next 25 years will be in the 55-and-older category. Almost half of this group has little or no church affiliation. Opportunity? I think it is worth exploring. Funny story. My secretary forwarded your article to me and I said to her that while we haven’t taken in a lot of members (maybe 17 in five years) they have been from all different ages, so your article didn’t really apply to us. A little while later she stopped in my office and told me that of the new members we have taken in, only nine of them have become full-time active members and that they are all over 55. So we actually do fit your research. We have taken in 17 members, but only half have really gotten involved and they are all on the older end of the scale. I am the senior pastor of a small town/rural (sandwiched in the country between a small town and a suburb) church, and the average age of my congregation is 62. We are in the process of discerning where to go/what to do next, and as a (young-ish) 44 year old female I would much rather play to the younger demographic. I don’t “think” like an older adult. I have struggled with how to cast a vision for my congregation that they will actually be willing to take hold of! So far in two years the progress has been slow and at times painful. But about 6 months ago the Spirit moved me to really put “transformation” into the hands of the people – to, in a sense, force them to cast a vision for themselves. After all, they know how to reach their demographic far better than I do. Or, they ought to know how. They just need a little energy and focus. Anyway, I am a person of hope, and your post makes me feel excited about the future of this little community. God bless them. Maybe God will yet blow life into dry bones. Thank you. I made copies of this blog for a small group discussion in our Lay Servant Basic class on Saturday. I meant to seek your permission first, but am late in asking you. I am planning to use this blog for discussion next Saturday; I hope is okay that I print out 13 copies. This really got me thinking in some different ways. Fantastic! Glad to be of service. No apology needed. Hope all goes well.